products marry organic, natural ingredients with aromatherapy experience. 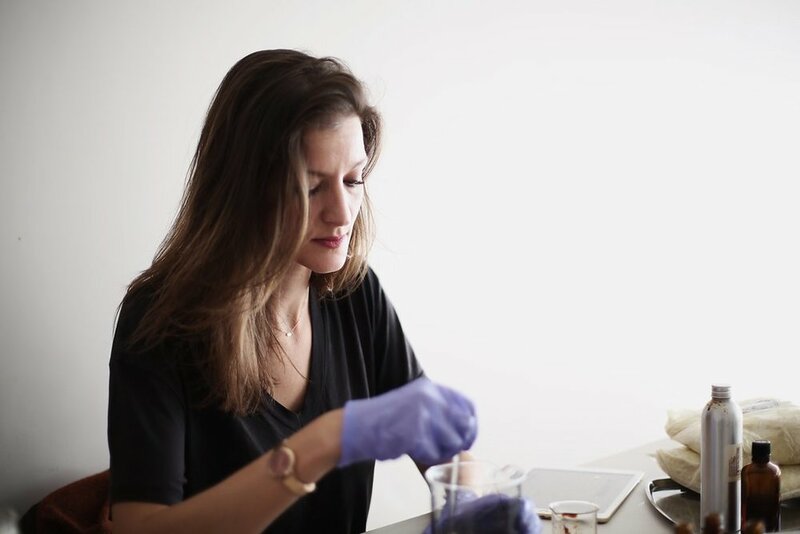 Isla Apothecary grew from my curiosity for the provenance of ingredients, an obsession for simplicity and purity, and a belief in a ritualistic, enjoyable, and less cumbersome skin and self-care regimen. I create each product from weekly small batches to ensure that a fresh, potent and optimum final product reaches you. Our formulas are thoughtfully curated with each ingredient chosen for its natural healing and therapeutic quality, unique life force and its ability to integrate and create synergy in its final creation. Every step of our process happens in-house. We proudly design, infuse, formulate, hand-blend, hand-pour, label by hand and ship from our London base. Only natural, ethically-sourced, and where possible organic ingredients make it in to Isla Apothecary products. These remain pure and unadulterated. Our philosophy is to package our products according to what is essential to their integrity, to reduce waste at the source and to encourage re-use and recycling, therefore we do not box our jars and bottles and we post them to you using recyclable boxes and 100% biodegradable void-filling chips made from renewable sources.